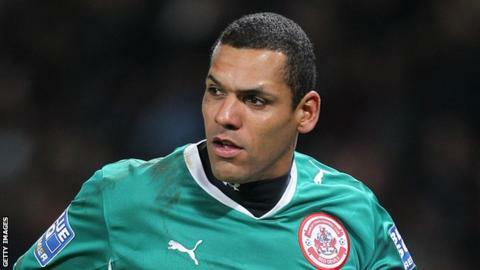 Crawley Town goalkeeper Michel Kuipers has left the club after having his contract terminated by mutual consent. The 38-year-old, who joined the Reds in summer 2010, had not made a first team appearance this season but had helped to coach the club's young keepers. Manager Richie Barker said: "Michel hasn't been able to force his way into the side this year. "My assistant Taff Williams is also a goalkeeping coach so that role, which Michel did, is now covered." He added: "We wish him all the best in his future career. He was a popular figure around the place and will always be welcome at the football club." Kuipers made the move to the Broadfield Stadium after ending a ten-year spell at Brighton & Hove Albion, where he made 263 appearances in all competitions. The Dutchman played 49 games during his two years at the West Sussex club, helping Crawley to back-to-back promotions. "The supporters have always backed me and I am really proud of the part I have played in raising the profile of Crawley Town with two successive promotions," Kuipers said. "When I joined, the club had finished mid-table in the Conference and I leave challenging for the play-offs in League One. "It's been a fantastic part of my career and I will always remember my time at the club." Kuipers, who has not played since April 2012, says he would like to continue his playing career at another club. "I have been training every day and I'm as fit as ever," he added. "I am looking to continue as a player or player-coach and hope to bring my experience, motivation and dedication to another football club where I can start a new chapter in my career. "I definitely feel I can play at League level and hopefully add a sixth promotion to my CV."